Learning to ski | Enjoy Life and Do Good! I love to ski. That’s amazing since failed beginner ski class twice. When I married in the early 90’s my husband and his friends had a well-established annual ski trip. I couldn’t go because the timing interfered with the job I had at the time. Finally when I left that job I had the chance to join the trip. Less than enthusiastically I said, “I’ll give it a try.” I wanted to be a good sport and I wanted to please my husband but let’s face it. I don’t like cold and I’m not athletic. I did have visions of sipping hot cocoa by the fire and reading a book while the guys skied. Our first trip was to Lake Tahoe. I encouraged him to go on to the ‘big slopes’ with his friends while I took a beginner class. A lot of women would have wanted their husband to teach them to ski. Not me. I liked being married. I figured that he should go on and have fun with his friends. A total stranger whose job was teaching adults to ski could put up with my whining, cussing and crying. I bravely went to ‘ski school’ where the instructor started with, “this is a ski.” “This is a pole.” Yes! This was the class for me! He taught us to put our boots into our skis and to ‘squish the bugs.’ Turns out he usually worked with children and telling them to imagine that there were bugs between their boots and their shins and to press the shins forward to ‘squish the bugs’ helped them understand how to get into proper ski posture. He then taught us to ‘make a pie’ with our skies. You adults may know this as making a wedge by pointing the front tips of your skis together. This keeps you going slowly. Allegedly. We worked for an hour or so on stepping sideways up an itty bitty hill then held onto a rope-pull that pulled us to the top of the hill. By hill I mean something about as big as a room in your house and as steep as level #2 on the treadmill. Hey! On snow it’s a mountain! Eventually we worked our way all the way up to the big hill! A real ‘Green’ slope. (Green is the easiest for you non-skiers.) A friend had told me that getting off the lift was the scariest part and where she would often fall. I mentally went through the steps the instructor had given and successfully made it off the lift without falling. Yea! Then I looked down the mountain. Yikes! I tried to follow the instructor’s directions. Squish the bugs. Make a pie. Go from side to side, not straight down. I was terrified. I never mastered the skill of getting back on my feet with my skis on but that’s OK because every time I fell they seemed to come off. I fell, got up, put my skis back on, and fell again. And again. And again. Finally a nice gentleman came over to give me some guidance. By then I was exhausted, frustrated and cold. I appreciate your help but if you’ll help me get these skis off I’m walking down this mountain,” I told him. He protested but I’d had it! I walked down and headed in to hot chocolate and my book. The next year at a different ski resort, I took another class with a little better result but still didn’t make it off the beginner slope. The next year we went to Jackson Hole, WY. I signed up for my annual “I’ll try it” ski class. The instructor had us line up side by side. He was a skinny, guy with a weathered face that made him look older than his years. He’d been a ski pro and competitive skier for many years. He walked back and forth in front of us like an army sergeant surveying his troops. After looking us over one-by-one he asked, “Why are you here?” “Do you want to learn to ski or are you here because someone else wanted you to be?” He asked the group. Umm… Why was I ‘here?’ I really hadn’t given it much thought. Sure I was on the trip with my husband and friends but that didn’t really require skiing or even taking the class. Why did I keep trying? I could stay in by the fire and read. I could shop the boutiques in the area. There were other things to do rather than ski. But here I was in beginner ski class for the third time. I thought for a minute. I’d never really considered why I was taking ski classes. Was I just to say I’d tried? Was it because I thought it was expected? Did I really want to learn to ski? That’s the year I learned to ski. Because I decided I wanted to. I really enjoy skiing! I’m not particularly good at it. I just enjoy it. I like the feeling of gliding down the mountain. I like the physical activity. I like the sense of accomplishment when I take on a different slope. I like facing down my fear. I like the camaraderie of sharing the stories in the bar after a day on the slopes. I’m glad I made the decision to learn to ski and moved past the “I’ll give it a try” mentality. What are you ‘trying’ that you haven’t yet committed to? Developing a skill? Learning to trust again? Changing some aspect of your life? If you really want it because YOU want it then commit to it. If not, let it go. 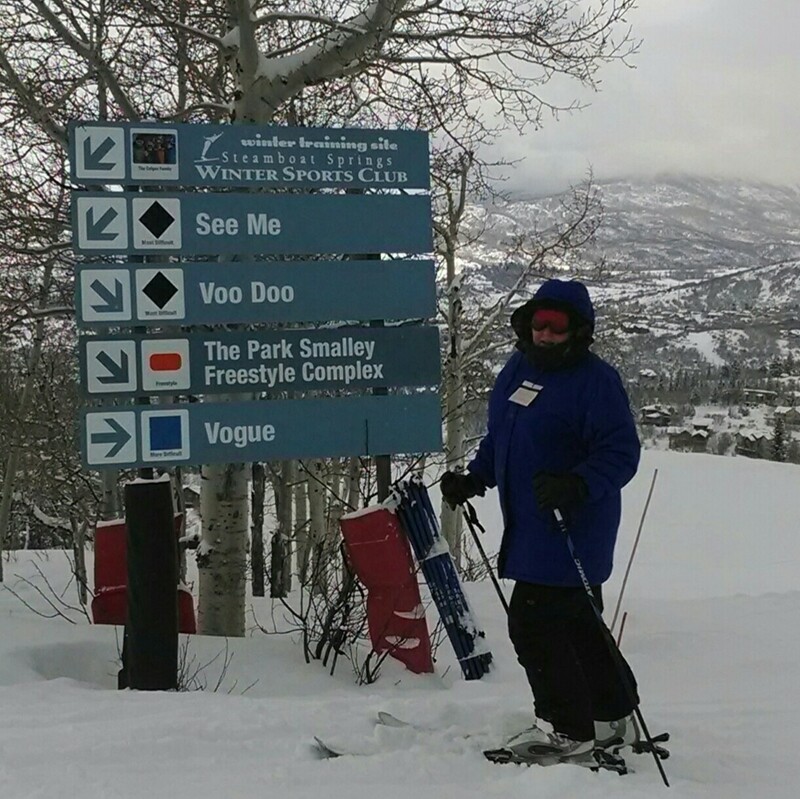 This entry was posted in Live with Passion and tagged enjoy life, inspiration, living with passion, ski lessons, snow sking by Myra McElhaney. Bookmark the permalink. Great blog post, Myra! And it does make me think about some of the things I’ve tried but failed at. You make an excellent point about doing things without really being committed to them. I’m going to change that as soon as I finish this response!